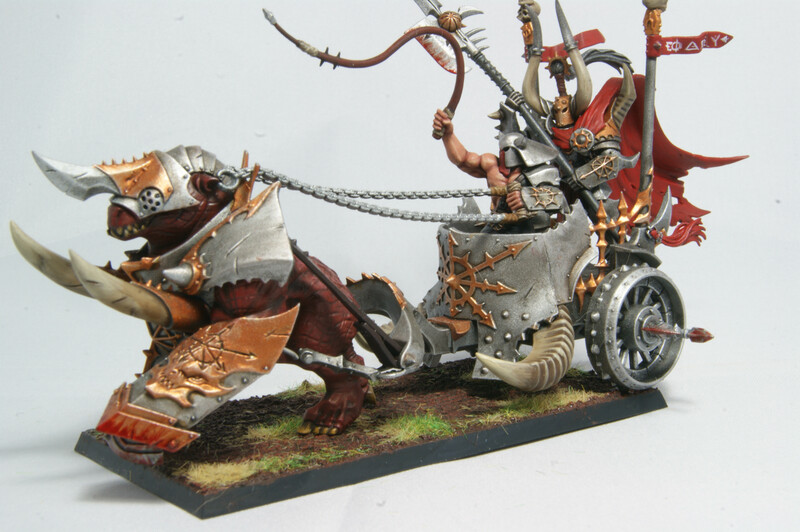 I have been painting Warhammer for more than 12 years now and take great pride in my work. I have entered and won several painting competitions at my local GW store and clubs. This is what led me to sell painted miniatures on eBay. my time would be better served working with the customer before I began painting. This way I would know exactly what and how they wanted something to be painted. It was for this reason that began offering a painting service. You can see some examples of my own work in my Personal Portfolio and also some of my previous commissions in my Commission Portfolio. I have tried to keep my pricing simple so I only offer one level of painting. As I run this by myself, you can be guaranteed that you will be given a personalized service. I will work with you and keep you updated of my progress in order to ensure you get the models the way you want them. I also offer two types of plan depending upon if you want me to assemble to models or not. Should you prefer a cheaper option or conversely, a more detailed 'showcase' standard of painting please contact me for details on pricing. If you wish for me to purchase and assemble you will need to to provide me with the funds to purchase the miniatures myself which will be equal to the RRP of the individual units. Assembly cost is based on the number and type of miniatures please contact me for pricing. The cost of my painting services is equal to 150% of the RRP cost of the model you wish to be painted. For example, if you wanted me to paint a squad of Cadians it would cost £27 as their RRP is £18. For this service you would be required to send me your assembled miniatures beforehand, preferably unpainted. Please note: Bundles and Starter sets will be calculated differently. This is due to the bundle value of the miniatures not always reflecting the time required to the paint the miniatures. Please contact me to find out more. All shipping costs are extra as these will be determined by the cost of shipping to your country. I am based in the UK so please factor this in to any postage costs. The time taken to complete a commission will vary based upon the size of the commission and the nature of the miniatures. Some miniatures can be completed much more quickly than others. Time will also be effected by any other commissions that I may currently be working on. I try to prioritise on a first come first serve basis, however if your commission is relatively small (single miniatures and characters) I may be able to squeeze you in between larger jobs. I request that a retainer, equal to half of the final fee, be paid before painting/assembly begins. Upon completion of the commission and before shipping I will request the remainder of fee. I only accept PayPal. 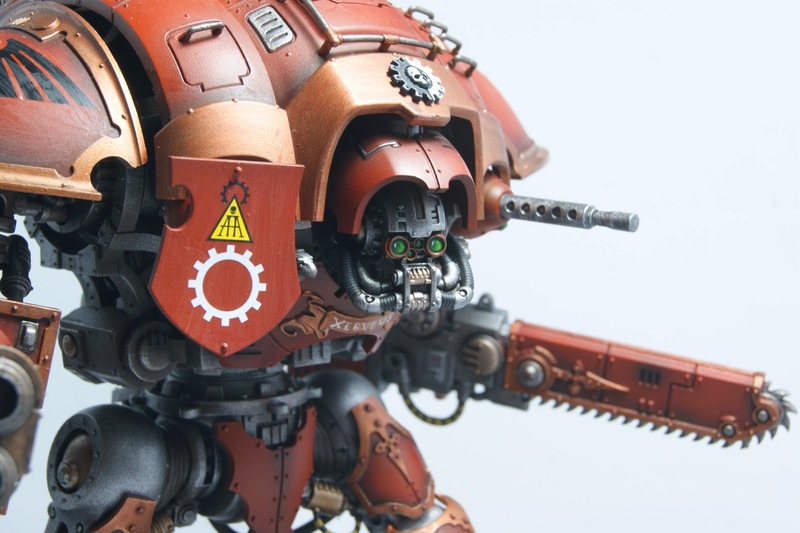 Please include which models you wish to have painted, the colour scheme, whether you want me to assemble them or not and if you have any special requests. The retainer fee is non-refundable as this will cover any time/money already spent upon the project should you change your mind before completion. Whilst the up-most care will be taken to ensure your items are packaged correctly, I will not be held responsible for breakages which may occur. I will however be happy to assist you in claiming compensation from the postal service with which the item was sent. I retain the right to use any images taken of the miniatures throughout the project for my own promotional purposes.